Who Benefits From Historic Preservation? Historic districts are intended to preserve neighborhood landmarks and buildings in the face of redevelopment. But some argue that such historic protections, in practice, actually drive up real estate prices and make neighborhoods expensive. Salon’s Will Doig lays out the arguments, using New York City’s Greenwich Village as an example. The neighborhood received historic designation in the 1960s, long before it became the tony enclave it is today. D.C. has a number of historic districts scattered throughout the city, with more potentially on the way. That cost-benefit analysis is tough to pull off. In hindsight, the benefits of saving Greenwich Village from urban renewal in the ’60s ended up outweighing the costs. 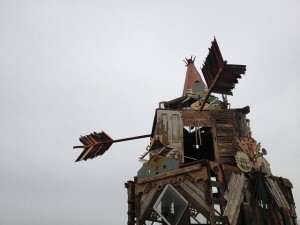 Today, the neighborhood is tremendously loved and as far from being a “slum” as possible. 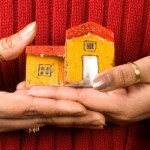 It’s also a refuge for the wealthy, however, and could house many more people than it currently does. But maybe the biggest problem with expanding the Village’s protected boundaries now is that, in the words of social theorist David Harvey, Manhattan is becoming the world’s biggest gated community. 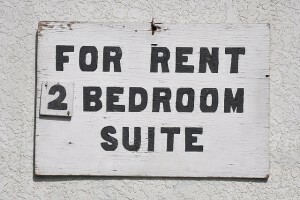 Taking steps that will likely make it even pricier could keep its real estate eclectic, but in the process, help make its diversity a thing of the past. There are plenty of examples of how developers and entrepreneurs have profited and driven gentrification near the H Street NE corridor. But here’s an example of an investment gone awry. Work began on Capitol Hill Oasis before the housing market crashed. Now 7 years later, the luxury housing project remains empty and half-built. The Washington Post reports on why the project faltered, including financial and construction troubles. Every day, neighbors walk past, many wondering what has become of Capitol Hill Oasis. The billboard behind the chain-link fence still promises a “private elevator,” parking and “gourmet kitchens.” But the site is silent, except for the occasional sound of a rock crashing through a window, 10 of which are now boarded up. Seattle and Portland are among the most popular cities in the U.S., while the least popular is Detroit, according to a new poll by Public Policy Polling. Voters from around the country were asked how much they like 21 prominent cities. D.C. ranks in the middle, with 44 percent of voters saying they like D.C. and 39 percent disliking the District. The poll found people responded differently depending on their political leanings, gender and race. When it comes to D.C., 40 percent of whites polled had a favorable opinion and 41 percent had an unfavorable opinion. Meanwhile, 56 percent of black respondents liked D.C., while only 23 percent didn’t. There is a small correlation between how well-liked a city is and low poverty rates, but David Nir of the Daily Kos finds an even higher correlation between how favorable people are toward a city and how white it is. Trials that start with all-white jury pools end up finding black defendants guilty 16 percent more often than white defendants. But having just one black person in the jury pool can alter that result, nearly closing the conviction gap. That’s according to a Duke University-led study released this week, in which researchers examined more than 700 Florida cases. “I think this is the first strong and convincing evidence that the racial composition of the jury pool actually has a major effect on trial outcomes,” senior author Patrick Bayer said in this video. 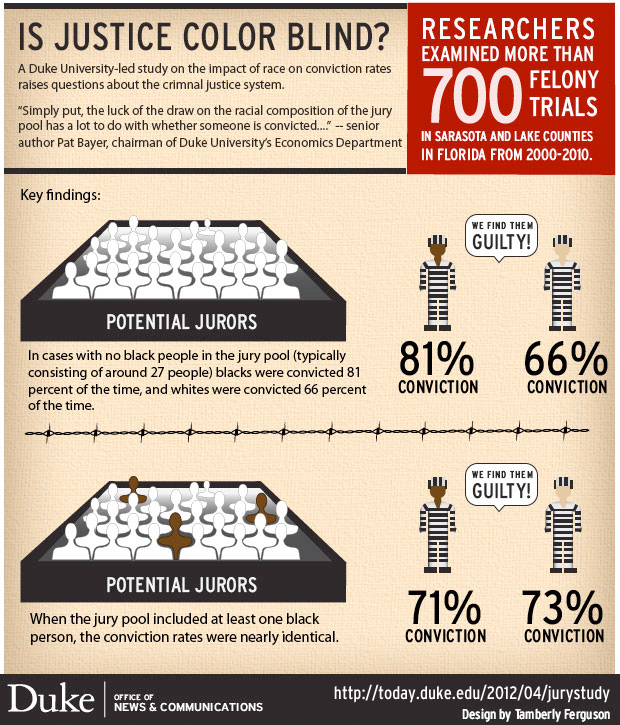 Check out Duke University’s infographic below, showing that conviction rates of black and white defendants are nearly identical when at least one black person is in a jury pool. 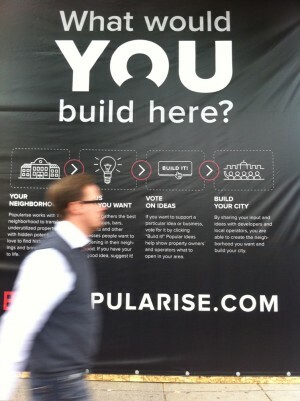 A sign on 14th Street and Rhode Island Avenue NW asks "What would you build here?" 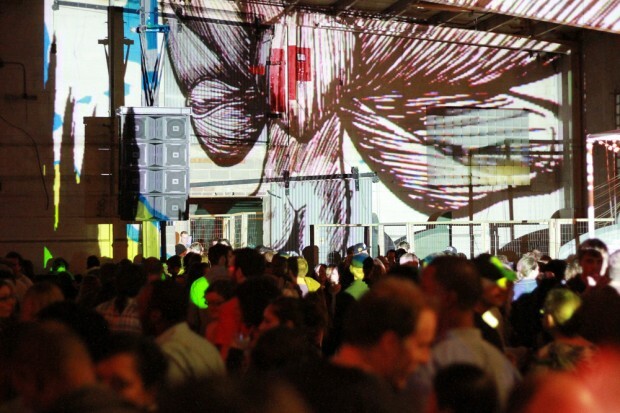 Businesses play an important role in the transformation of neighborhoods. A certain restaurant or store can attract newcomers, make a block seem “desirable” or become a gathering spot. But as it stands now, the public generally doesn’t have a say on what specific businesses open up in their neighborhoods, says developer Ben Miller. Should that vacant storefront be a coffee shop or a pet store? That’s why Ben Miller and his brother, Dan, started Popularise.com in late 2011. They were trying to figure out what to do with the building they purchased at 1351 H Street NE, and wanted public input. So they posted the project online and asked people to vote on ideas they had already explored or submit suggestions. About 1,000 people responded, and Ben Miller says they’ll announce the final project within a few weeks. The site is in its early stages and currently features five buildings. People sign up by providing their names and zip codes and can then comment on project ideas or suggest new ones for the featured buildings. Building owners, developers and others then use the feedback as a factor in the eventual outcome, along with economics, construction issues and other things. But is targeting an online audience the best way to increase involvement? A persistent digital divide in the District means there’s a good chunk of the population who is not connected, and they’re mostly low-income folks. 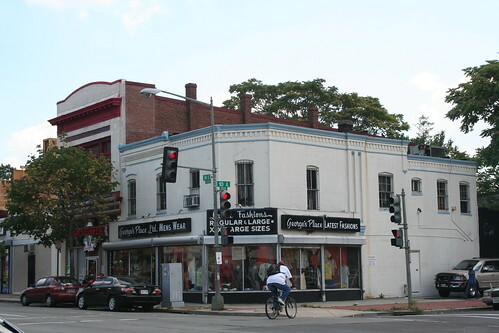 A longtime clothier on H Street NE will officially be replaced by a Ben’s Chili Bowl. George Butler sold his building at H and 10th Streets NE after selling men’s clothing for more than 40 years along the corridor. We’ve known that the Ali family, the force behind D.C. institution Ben’s Chili Bowl, purchased the building. But it wasn’t clear whether H Street would get a Ben’s of its own, or whether the Alis would open a different kind of restaurant. Frozen Tropics reports today that a Ben’s will indeed open in the first floor. Ben’s is as homegrown as it gets, so is having the restaurant replace a longtime H Street shop count as gentrification? It became very clear at a public meeting last night that the first floor will become a Ben’s Chili Bowl. Margaret Holwill, who live tweeted portions of the meeting, further reports that the upstairs will feature and open kitchen, and a bar (alcohol served upstairs only). But apparently, the grub upstairs will not be what you can get at Ben’s Next Door. Interracial marriage is at an all-time high. And while Asian Americans are still the most likely Americans to marry outside of their race, there’s been a steady increase in the number of Asians marrying other Asians. But Wall Street Journal columnist Jeff Yang points out that many Asians are still marrying across ethnicity and nationality. A University of Massachusetts–Amherst sociology professor who has studied marriage trends found that the number of Asians marrying across ethnicity has risen by 8 percent since 2006. Both [Matthew] Cha and [Perry] Manadee essentially found themselves beginning to date other Asians when the option became more practical. (From personal experience, I can say that dating the daughters of your parents’ close friends is not practical.) This coincided with travel to Asia, or attending top universities — where there’s a disproportionately high concentration of Asian Americans — or moving to major cities on the East or West Coast, where Asian Americans cluster. And given that the overall Asian American population grew by approximately 46% from 2000 to 2010, the fastest of all racial and ethnic groups, this also explains much, but not all of the downtick in Asian interracial marriage: The more Asian fish there are in the Sea of Love, the more likely it is that you’ll net one — though not necessarily one from exactly the same coral reef. And given the spike in Asian interethnic marriage, that’s apparently increasingly okay. Far from obsessing over common language or tradition, most of my other interviewees mentioned the same thing [Mina] Lim did: The general shared experiences and expectations they had with their Asian partners led to a comfort zone in which aspects of life other than race and ethnicity could come to the fore.